November 3, 1723, Newcastle, Delaware. February 4, 1761, Princeton, New Jersey. Princeton Cemetery, Princeton, New Jersey. I am a son of prayer, like my namesake, Samuel the prophet, and my mother called me Samuel, because, she said, I have asked him of the Lord. Davies joined the Presbyterian church at age 15. He became a licensed Presbyterian minister in 1746. The next year he was licensed as an evangelist and sent to Virginia. A court in Williamsburg granted him a license as a dissenting minister, the first such license given in the colony of Virginia. When the lion roars, all the animals in the jungle fall silent; and when the Lord speaks, the kings of the earth shut their mouths. 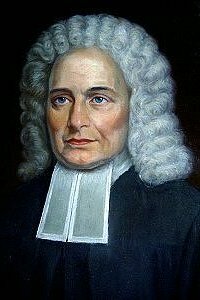 In 1759, Davies accepted a call to become president of the College of New Jersey (later renamed to Princeton University). He served in that position until his death 18 months later.